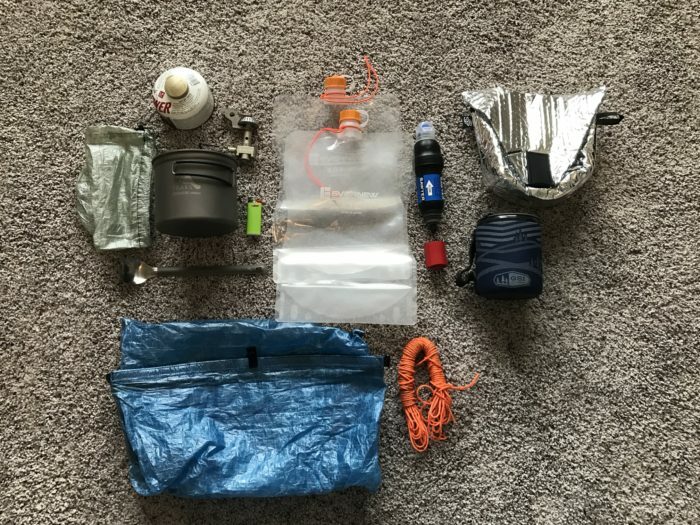 HYOH (hike your own hike) seems to apply to everything but gear. People are passionate about their choices. Over the last six years of researching gear I’ve probably perused thousands of gear videos and lists. In the process I’ve become something of a gearhead. I’m blessed that cost isn’t too much of a limitation for me so it’s just about finding the optimum pieces of gear for me. That’s a key statement. No two gear lists are the same because no two hikers are the same. I know that gear will not walk the miles for me but choosing the right gear will give me a better chance. Without further ado, here we go! Backpack – ULA Circuit I considered many different packs including a custom pack from McHale or Zimmer. It really came down to weight and access to my water in the end. I’m a fan of ZPacks products, as you will see, but I went with the Circuit. It’s a balance of weight, durability, and I’m able to reach my water bottles. I’m also bringing a ZPacks pack cover to keep water from soaking in my pack. My gear inside will be in waterproof bags. I realize this is doubling up but it also helps me organize my gear which I like. Tent – ZPacks Duplex Although I own a Big Agnes Fly Creek 2 and love it I decided to shave more weight and purchase the Duplex. It’s more difficult to put up but it’s roomier and has two side entry doors. I bought mine before they offered the free standing option and I thought it was a little pricey to retro fit it so I didn’t go that route. I’ll be bringing 6 MSR Groundhog and 2 Ti shepherd hook stakes. 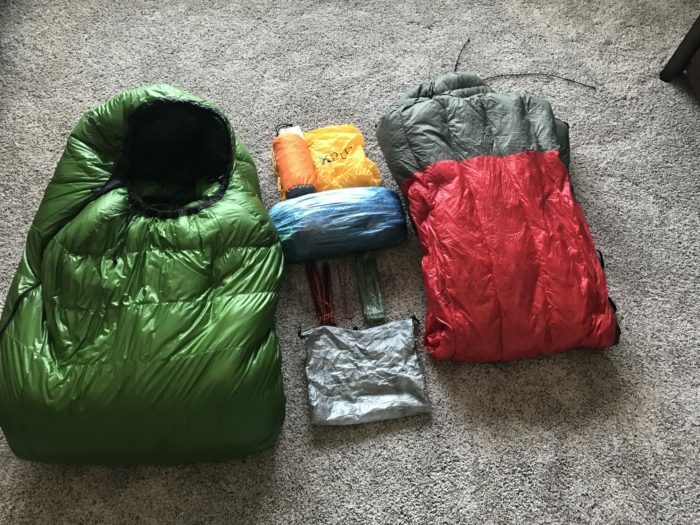 Sleeping Bag – Western Mountaineering Versalite 10/Enlightened Equipment Revelation 30 I’m sure some will think the Versalite is overkill for a late March start but I’m always cold. It’s under two pounds and I call it my little green egg because it keeps me so warm. I will switch it out for the Revelation around Waynesboro and will get it back in New Hampshire which will shave a pound. I’m using a Zpacks dry bag to store. Although I considered going stoveless I will definitely want a hot dinner in the early portion of the hike. I’m bringing the mug for hot tea/cocoa but will send it home at some point as it warms up. The cozy has a great feature in that the flap folds back and velcros in place to create a sleeve for your hand to slip in. Hydration was a journey. I would prefer a bladder because I drink more when I use one. Unfortunately they fail. It’s happened twice to me in the back country. So I’m going the Smartwater bottle route. I tried out a Source Outdoor Convertube for the best of both worlds but have decided against it. I’m bringing two Evernew bottles both with grommets and line to hang. I was going to only bring one but a thru hiker recommended two to avoid multiple trips to water sources. It’s a 1.5 ounce weight penalty and I’m down with that. I’ll be using a few hacks on the Sawyers including the tornado tube with a great modification. Hiking Tejano shared his idea and pics with me where he drilled a hole in the tube so water would flow faster. Works like a charm. I obsessed over clothing more that anything else. Allow me to “soapbox” a little. I’m an REI Advisor and I’ve commented to them extensively about this issue. Just like any other hiker, biker, kayaker, etc. I’m looking for quality, functional, dependable gear. Yes, clothing is a part of my gear. So why is it that all the women’s technical underwear seems to be more designed around looks than functionality? The same with shorts, pants, shirts. It’s maddening. I searched and search and finally waved the white towel, or should I say the red Exofficio Give N Go boxers? That’s right. I couldn’t find a women’s alternative so I’ll be rocking men’s underwear on the trail. Same with my men’s Prana Zion zip off pants. I don’t want small gratuitous pockets so my hips looks better…I’ve had two children…they are what they are…I want functional pockets! Ok, now that that’s over let’s proceed. I had an Icebreaker shirt but it quickly started developing small holes all over it. That was a big disappointment since it was pricey. The Zion’s just feel good. I have a pair of REI shorts and a Mountain Hardware short sleeve that I will most likely change to when it’s warmer. All of my the outer clothes have been treated with Permethrin. Insect Shield will now treat your clothes. The treatment last 70 washings so an entire thru hike. Apparently this is supposed to be a particularly bad year for ticks so I’m taking all precautions. I just changed out my “sacred” socks for compression socks based on a few postings. I’m concerned with my body breaking down and I think the compression socks will help me recover each day. I also don’t think they will be warm enough for their original purpose so I added the down booties. The change out was only about an ounce and a half penalty. We’ll see how this goes. The down booties will go home after the Smokies most likely. Many people have told me to ditch the hoodie and I was going to do that. But most videos I’ve watched the hikers have a fleece hoodie on. So I’m taking it. This will also most likely go home after the Smokies along with the rain mitts. I will also be changing out the Zpacks rain pants for a Zpacks rain kilt for the warmer weather. These cold weather items will be sent back to me in Hanover, NH. The power bank is a 10,000. I don’t think I need any more than that. 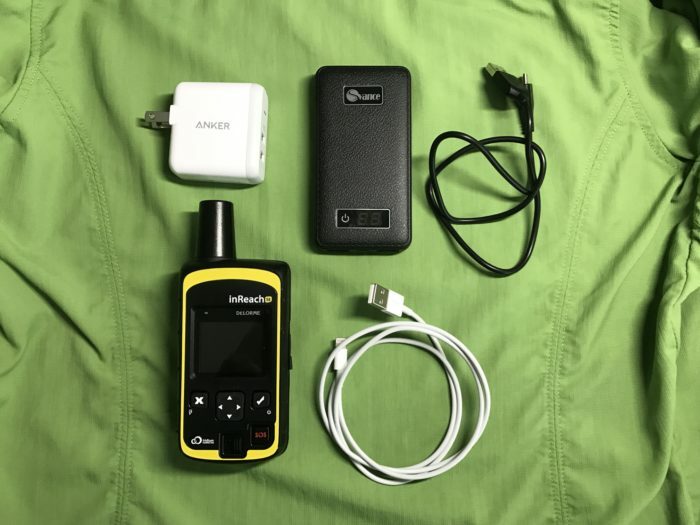 I’m mainly taking the inReach so my family is able to track me. I was also on a trip a few years ago where one of the TPW leaders was bitten by a copperhead and we actually used the SOS function. I was taking a pair of Black Diamond carbon fiber zpoles but think they may not hold up so I switch to the Leki. I love the Vivo barefoot shoes. They are secure on your feet for water crossings and would be ok to hike in if needed. That’s most of it. I of course have put together hygiene, repair, and first aid bags but I’m still tweaking those. My cold weather base weight is just over 15 pounds and warm weather is 12.8 pounds. I’m right at my goal for my starting base weight so I’m really happy about that. If you’ve read this far you’re probably something of a gear head. 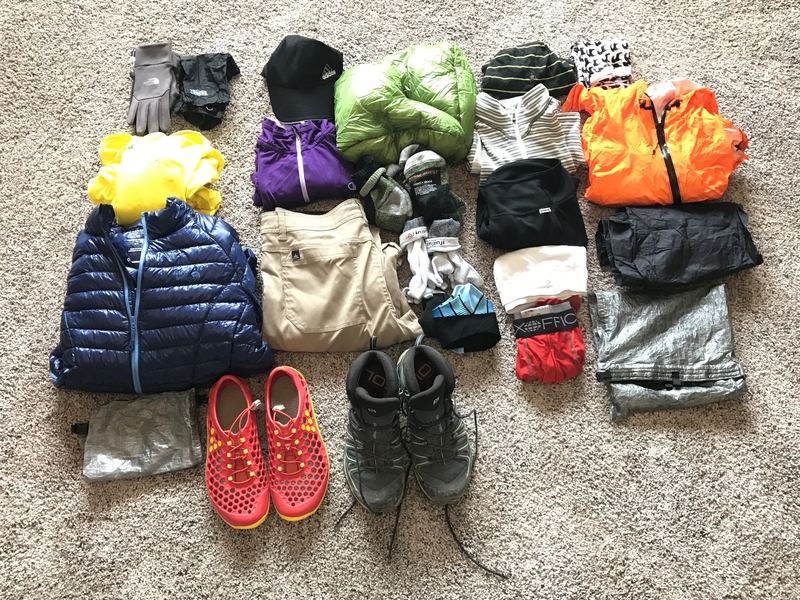 My detailed cold weather and warm weather gear lists are in Lighter Pack. I’m interested in any suggestions. Thanks for reading! Nice gear selection! Very similar to my own! I too do the fly creek and duplex, LOL! May sunshine flood your path.